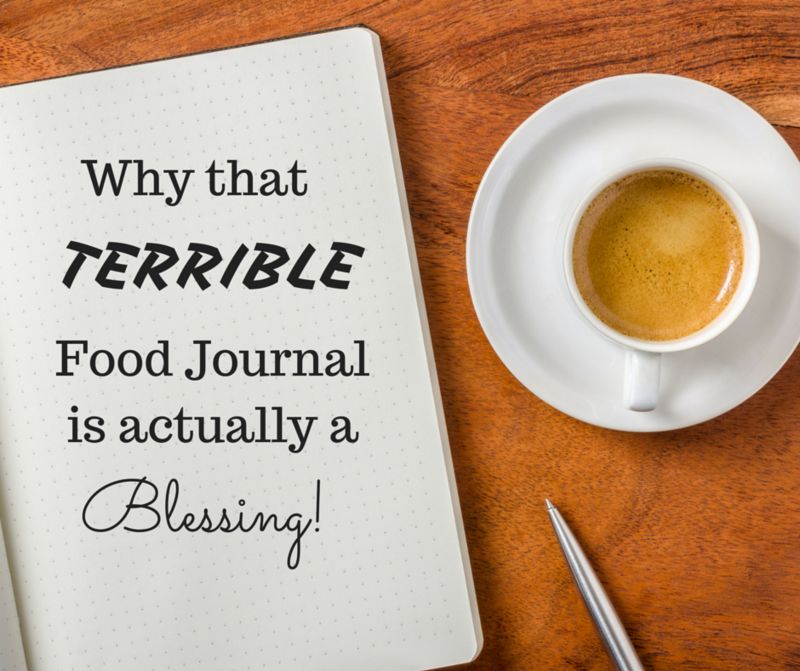 Why that terrible food journal is actually a blessing! Have you ever kept a food journal or a food diary? How do you feel about keeping a food journal? If awareness were one of the most powerful agents of change, wouldn’t a journal be a natural part of that awareness? So, is it awareness that you resist or is it the beating you give yourself when you see that you weren’t ’good’ on your new diet plan or program? Most of us, when we’re working to lose weight, will see every overeat as a failure. What if noticing an overeat or binge was absolutely a blessing and a crucial piece of insight; and NOT another opportunity for you to feel like a failure? What if just noticing and watching our eating for a time is actually a BIG KEY to permanent weight loss success? What if all you need to do is start giving yourself some love in that journal of yours? When you’re making food decision, or watching your behavior, how can you give yourself a little love? Yep, love, not criticism!!! The brave kind of love that says, wow, I just watched myself plow through a bag of chips after I got home from a hard day at work. Fascinating. That happens pretty often. What’s going on for me? That’s the type of journal we need to keep: Awareness with Kindness! Try it on for size, start noticing and loving on you in the process. Look for patterns; look for your own amazing wisdom on what is going on in those moments when we choose to overeat. 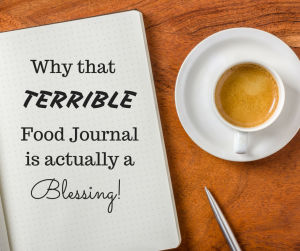 Why do you resist a food journal? Be honest. Shoot me a message. Comment right here, and I can offer you some kindness & insight to help you on your journey.